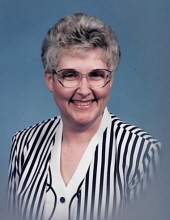 STOUGHTON-Beverly A. Erickson, age 78, of Stoughton, passed away on Sunday, Feb. 10, 2019, at Skaalen Nursing and Rehabilitation Center. She was born on Nov. 22, 1940, in Watertown, the daughter of Maynard and Hazel (Petty) Helle. Beverly graduated from Jefferson High School with the class of 1958, then continued her studies to become an LPN. With this degree, she continued working for Skaalen Nursing and Rehabilitation Center for 14 years and then for Stoughton Hospital, retiring after 27 years. Beverly met Joseph S. Erickson while he was stationed in Seattle, Washington, they were married on Aug. 17, 1963, in Jefferson. They made Stoughton their home and raised their family. Beverly enjoyed traveling and vacationing with her family. Some memorable trips were to Florida and the Smokey Mountains. But it was her grandchildren, who were her pride and joy. Beverly is survived by husband, Joe Erickson; son, Jay Erickson; grandson, Ben Erickson; granddaughter, Brooke Erickson; and great-grandchild, Mara Erickson. She was preceded in death by her parents; son, Joseph A. Erickson; and brother, Ronald Helle. In keeping with Beverly's wishes, no services will be held. Instead, remember Beverly, by doing an act of kindness for someone in need. Online condolences may be made at www.gundersonfh.com. Until we meet again…Love, your family. 1358 Hwy. 51 North at Jackson St.
"Email Address" would like to share the life celebration of Beverly A. Erickson. Click on the "link" to go to share a favorite memory or leave a condolence message for the family.